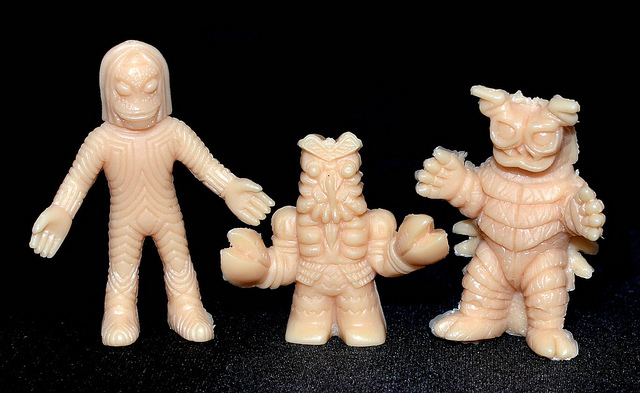 What: A Japanese multi-pack of mini "kaiju," or monsters, from the Ultraman series. 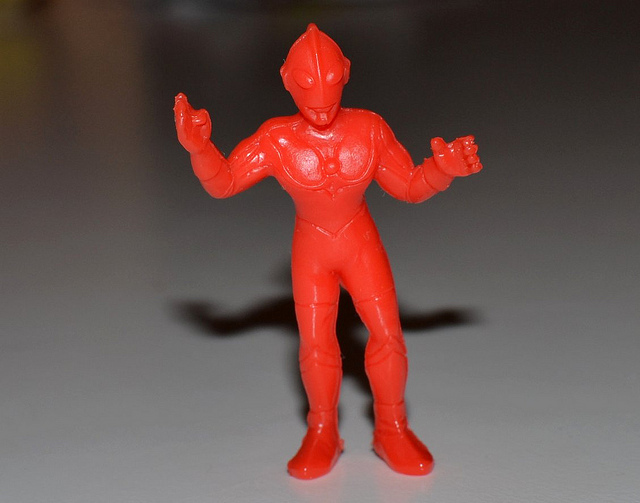 The pack includes 29 different light flesh-colored monsters and one red Ultraman figure, all made out of soft plastic. As if all of the monsters weren't cool enough, you've got to love the bad English of "Great Monster the 30." 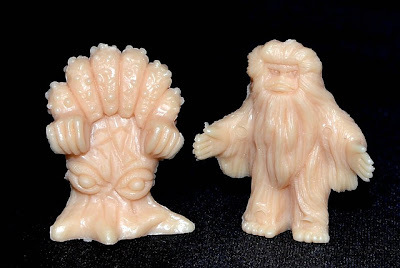 Really nice set! 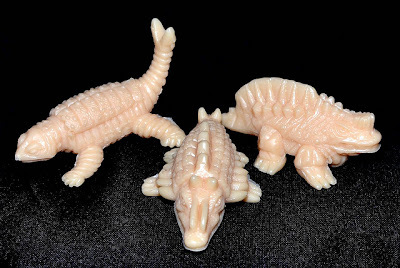 I had one of these. What I thought was the coolest about it was that it included a sheet inside that appeared to be some kind of game. 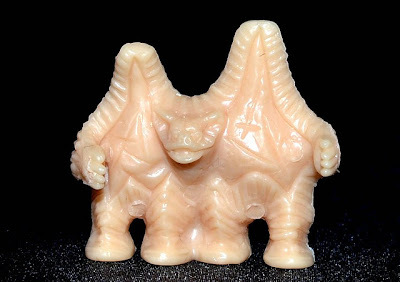 But I was never able to find someone who could translate the instructions. Yes, I always wondered about that too. Maybe I'll scan it sometime and see if someone can translate. The writing on the bottom left does say "fun [something] GAME SHEET (English words translated into katakana) inside." 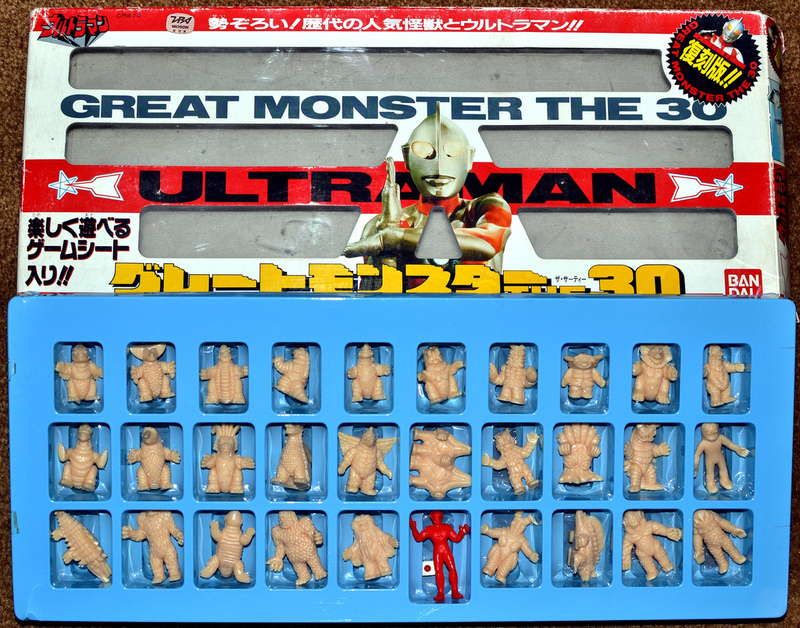 The yellow writing at the bottom says "GREAT MONSTER (again, English words in katakana) the 30." There is no distinction between singular or plural in Japanese, so it's really saying "GREAT MONSTERS" followed by "The 30." 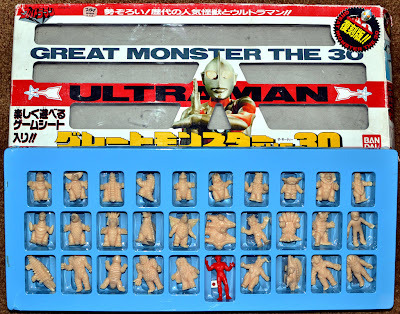 Hopefully that helps to explain the weird Engrish of "Great Monster the 30."